The wife of Kwara state governor-elect, Mrs Olufolake Abdulrazaq, in preparation for positive transformation of Kwara state attended a national programme organized by National Agency for Food and Drug Administration and Control (NAFDAC). 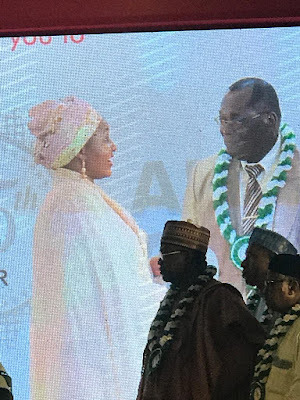 The programme held at Banquet hall, Presidential Villa, in Abuja yesterday was to commemorate Silver Anniversary of the organization. 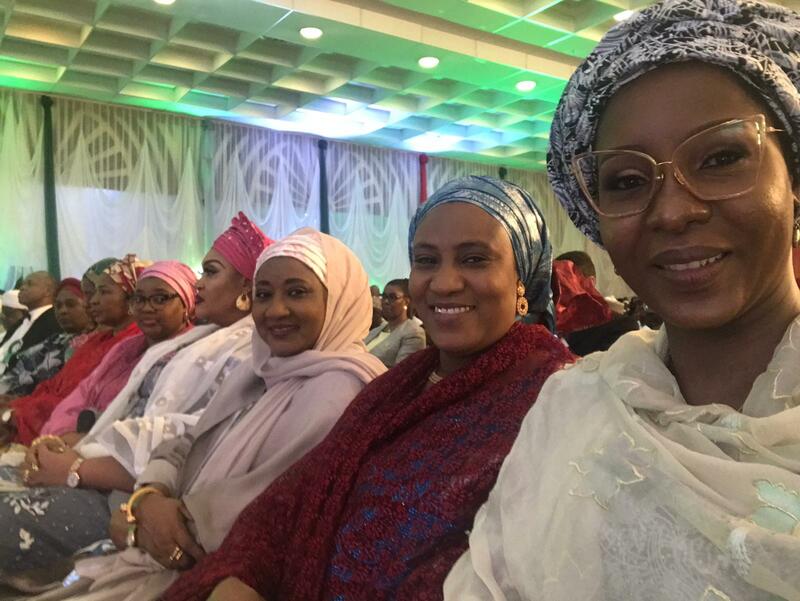 In attendance was the First Lady of Nigeria – Her Excellency, Dr (Mrs) Aisha Buhari, Governor of Yobe state, Governor of Kogi state, the wife of the Minister of Defence, the wife of the Governor of Borno State, Oni of Ife, Buba Marwa Chair of the Presidential Committee on Drug abuse, Hon. Khadijah Buka Ibrahim, former Minister of State Foreign Affairs and now elected to the House of Reps for Yobe state, amongst many other dignitaries. At the gathering, Her Excellency Dr (Mrs) Aisha Buhari was conferred with the Grand Diamond Award for her work with the Future Assured Organisation. There were several other persons also awarded in other categories at the event. 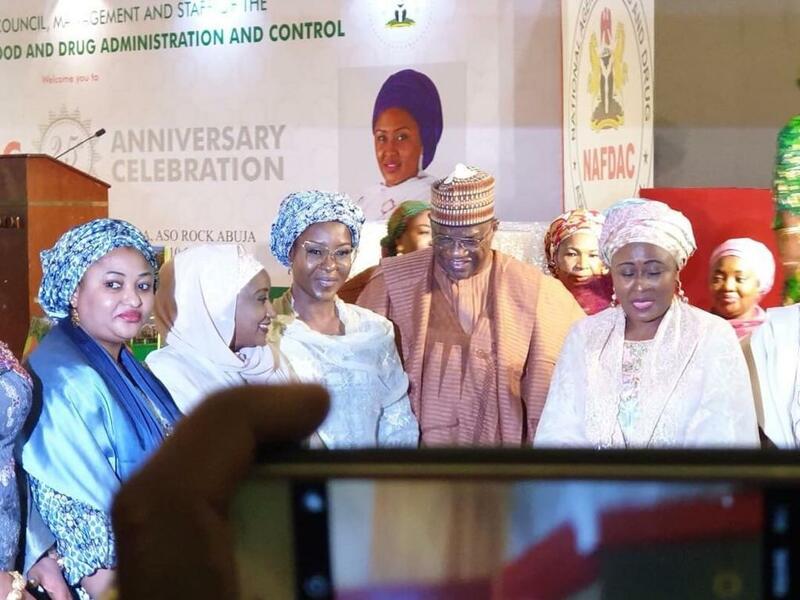 Mrs Olufolake Abdulrazaq’s presence was a step in keying into what NAFDAC will be doing for Kwara in terms of the eradication of drug abuse and addiction in the state.